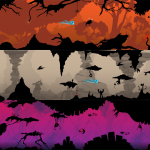 The 2D ColliderGen framework allows you to automatically generate precise polygon colliders for your game objects from a sprite image’s alpha-channel. The colliders are created within the Unity3D editor in order to have no performance impact at runtime. There is an experimental RuntimeAlphaMeshCollider.cs script, but some adaption/coding will be required for now. 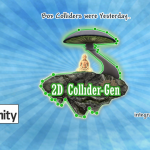 Visit the Runtime Collider Generation page for the download link and further instructions.